It’s been said that April showers bring May flowers. But what happens when those April showers dry up and bring a summer drought? Often, it means trees that you’ve spent years planting and cultivating can suddenly wither away and die. That’s why it’s important to find low maintenance trees that can withstand even the worst droughts and the driest of soils. At Vernon Imel, we’re dedicated to helping you weather any storm or, in this case, drought. We’ve been serving the Oregon coast for more than 20 years. Here are our top six drought-tolerant trees that will flourish even during our hot, dry summers. Many of Oregon’s native trees are drought-tolerant and the Oregon white oak is no exception. This deciduous oak tree can be grown in a variety of climates, including those that are hot and arid. Do you live in a particularly dry area that experiences extreme drought? This native tree could be exactly the right fit for you. It can be grown in areas highly susceptible to severe summer drought, where many other tree species are not a viable option. Additionally, the Oregon white oak is highly resistant to damage caused by extreme winter weather conditions. Oregon white oaks typically grow 50 to 90 feet tall. Though a slow growing tree, its hardiness and versatility make the Oregon white oak tree well worth the wait! One of the more common trees to the Pacific Northwest is the Pacific madrone. While sensitive to winter weather, the Pacific madrone is one of the region’s most drought-tolerant trees. Because of its deep root system, the Pacific madrone is able to extract the water from soil or rock that may not be available to tree species with shallow root systems. With its white flowers and red berries, the Pacific madrone is an excellent tree to grow in the warm, dry climate of the Oregon Coast. However, due to its peeling bark and frequent shedding of foliage, the tree may not be suitable for those who aren’t fond of frequently raking the front yard. The Ponderosa pine is another excellent choice for homeowners looking to plant a drought-tolerant tree. The Ponderosa pine withstands hot and dry conditions as well as extreme winter weather. Unlike the Oregon white oak and Pacific madrone, the Ponderosa pine is a relatively fast-growing tree. 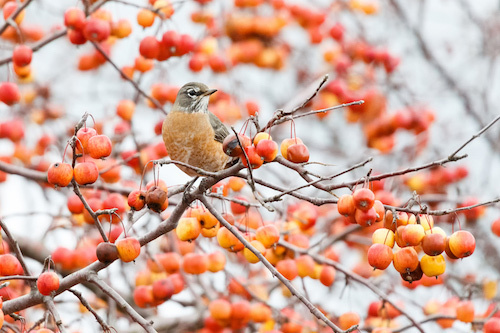 That makes it a popular landscaping tree for many homeowners. In fact, the Ponderosa pine is the second most common tree found in Oregon. The Ponderosa pine is prevalent in the eastern part of the state, whereas a variant known as the Willamette Valley ponderosa pine is common to the Pacific Northwest. Though quite different from its eastern counterpart, the Willamette Valley ponderosa pine is also a particularly drought-tolerant tree. While not quite as drought-tolerant as the other native trees on our list, the incense cedar still holds up quite well during Oregon’s dry summers. A popular ornamental tree, incense cedar trees produce a pleasant fragrance in warmer temperatures. In addition to being an attractive landscaping tree, the incense cedar is also a low maintenance tree that is decay and insect-resistant. It also serves as a windbreak, reducing home heating costs during cold winter months. Given its many benefits, the incense cedar is an excellent choice for homeowners looking to plant a drought-tolerant tree. There are a number of native Oregon trees that have adapted to the area’s dry summers and are able to withstand even the most severe droughts. But did you know that there are also a number of non-native tree species that can also weather Oregon’s dry summer conditions? 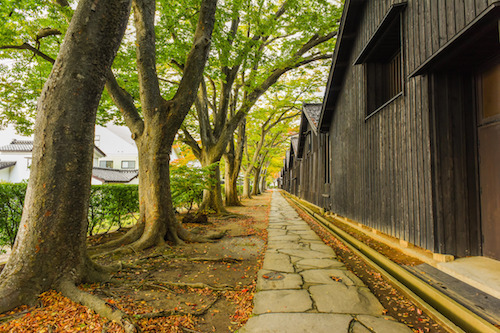 If you’re looking to plant less common trees in your front yard, there are several options for you as well. If you want to plant an ornamental tree, for instance, consider a drought-tolerant flowering tree such as the mimosa tree. 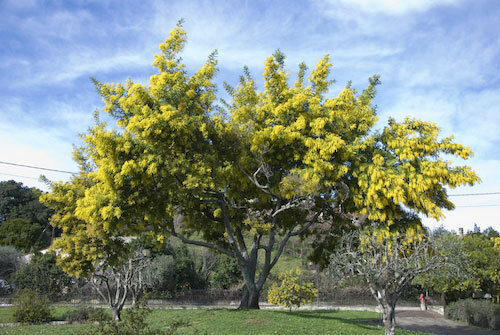 Though the mimosa tree needs regular watering, it does well in hot, humid climates. It also makes a wonderful landscaping tree because of the bright, rosy-pink flowers it produces during the summer months. Since the mimosa tree also functions as a shade tree, you can put a chair out on the front lawn and sip a refreshing mimosa under your mimosa tree even on the driest of hot summer days. Another non-native tree that is drought-tolerant is the honeylocust tree. The honeylocust is a low maintenance tree with a spreading canopy that provides ample shade. It tolerates a wide range of soils and is incredibly easy to plant. It also grows well in most urban settings. In addition to its tolerance for drought conditions, the honeylocust is also able to tolerate moderate amounts of flooding. A favorite of homeowners throughout the country, the honeylocust is a hardy, fast-growing tree that will enhance your front yard landscaping in a relatively short period of time. Recently, Oregon experienced record drought years. Therefore, it’s important to plant drought-tolerant trees that will hold up well under hot, arid conditions. The last thing you want is to spend the time and effort planting a tree that’s going to die just a few years later. The good news is now is an excellent time to get started. Springtime is an optimal time of year to plant your trees. Remember, they’ll need to be closely monitored and nurtured for the first year, so avoid planting them during the extreme heat of the summer months. It’s also important to remember that drought-tolerant trees should be planted alongside similarly drought-tolerant trees that don’t require frequent watering. For more tips and advice on which drought-tolerant, low maintenance trees to plant, give us a call. We’ll make sure you plant the right trees so that you can enjoy the fruits of your labor for many years to come! Which Native Oregon Trees Are Best for Residential Applications?